Myanmar, also known as Burma, has been one of those blind spots in the mapping of human genetics. Finally now we get to know something about the peoples of this SE Asian multiethnic state, although there are limitations because the sampling was performed among refugees in Thailand. Myanmar is the largest country in mainland Southeast Asia with a population of 55 million people subdivided into more than 100 ethnic groups. Ruled by changing kingdoms and dynasties and lying on the trade route between India and China, Myanmar was influenced by numerous cultures. Since its independence from British occupation, tensions between the ruling Bamar and ethnic minorities increased. Our aim was to search for genetic footprints of Myanmar’s geographic, historic and sociocultural characteristics and to contribute to the picture of human colonization by describing and dating of new mitochondrial DNA (mtDNA) haplogroups. Therefore, we sequenced the mtDNA control region of 327 unrelated donors and the complete mitochondrial genome of 44 selected individuals according to highest quality standards. Phylogenetic analyses of the entire mtDNA genomes uncovered eight new haplogroups and three unclassified basal M-lineages. The multi-ethnic population and the complex history of Myanmar were reflected in its mtDNA heterogeneity. Population genetic analyses of Burmese control region sequences combined with population data from neighboring countries revealed that the Myanmar haplogroup distribution showed a typical Southeast Asian pattern, but also Northeast Asian and Indian influences. The population structure of the extraordinarily diverse Bamar differed from that of the Karen people who displayed signs of genetic isolation. Migration analyses indicated a considerable genetic exchange with an overall positive migration balance from Myanmar to neighboring countries. Age estimates of the newly described haplogroups point to the existence of evolutionary windows where climatic and cultural changes gave rise to mitochondrial haplogroup diversification in Asia. The main sampled ethnic group are the Karen, who live at the border with Thailand, but the Bamar or Burmans, the largest ethnic group, were also sampled in big numbers. The smaller samples are only detailed in the supplementary data for what I have seen, so I will not discuss them right now (maybe in an update?). to more than 50% in East Asian Korea. It is very notable the high diversity of paragroup M* among the Bamar. The authors notice that not more than three individuals shared each different subhaplogroup, what points to a very high diversity within haplogroup M. I don’t have time right now to ponder the various lineages, some of which are newly described, but I probably will in the future, because, together with the high diversity in NE India, they have the potential of shifting the paradigm of Asian colonization by H. sapiens a bit towards the East. The various M* and other novel haplogroups described in Myanmar is shown in fig. 4. Haplogroups M90 and M91 are new basal M sublineages, along with three other unnamed private lineages, which also appear as basal. Also M20a, M49a and G2b1a are new sublineages further downstream. Within N/R, another newly described lineage is B6a1. 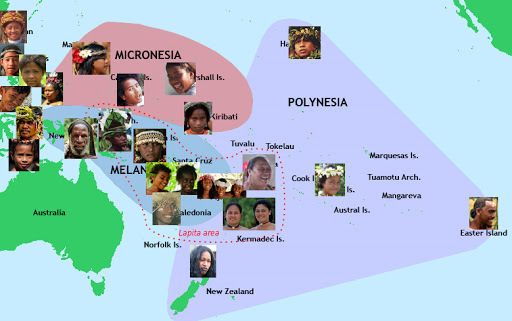 in the same haplogroup (Figure 4). On the other hand, the Karen show the signs of genetic isolation instead, with large concentrations in the same haplogroups. of Myanmar to all analyzed neighboring regions (for details see Additional file 4: Table S4). This influence is most intense to Laos, Thailand and South China, while things are more balanced regarding Vietnam instead. What did SE Asians eat before the spread of rice farming? Poor preservation of plant macroremains in the acid soils of southern subtropical China has hampered understanding of prehistoric diets in the region and of the spread of domesticated rice southwards from the Yangtze River region. According to records in ancient books and archaeological discoveries from historical sites, it is presumed that roots and tubers were the staple plant foods in this region before rice agriculture was widely practiced. But no direct evidences provided to test the hypothesis. Here we present evidence from starch and phytolith analyses of samples obtained during systematic excavations at the site of Xincun on the southern coast of China, demonstrating that during 3,350–2,470 aBC humans exploited sago palms, bananas, freshwater roots and tubers, fern roots, acorns, Job’s-tears as well as wild rice. A dominance of starches and phytoliths from palms suggest that the sago-type palms were an important plant food prior to the rice in south subtropical China. We also believe that because of their reliance on a wide range of starch-rich plant foods, the transition towards labour intensive rice agriculture was a slow process. Malaria has been one of the greatest challenges to human survival in the tropics and subtropical areas, which make up the bulk of our early distribution as species. In response we have developed a number of genetic-biological strategies of which the best known is the allele that causes the sickle cell disease in homozygotes but protects heterozygotes against the deadly infection in a clear example of balancing selection. This is not however the only adaption against malaria. The Southeast Asian deletion (–SEA) is the most commonly observed mutation among diverse alpha-thalassemia alleles in Southeast Asia and South China. It is generally argued that mutation –SEA, like other variants causing hemoglobin disorders, is associated with protection against malaria that is endemic in these regions. However, little evidence has been provided to support this claim. We first examined the genetic imprint of recent positive selection on the –SEA allele and flanking sequences in the human alpha-globin cluster, covering a genomic region spanning ~410 kb, by genotyping 28 SNPs in a Chinese population consisting of 76 –SEA heterozygotes and 138 normal individuals. The pattern of linkage disequilibrium (LD) and the long-range haplotype test revealed a signature of positive selection. 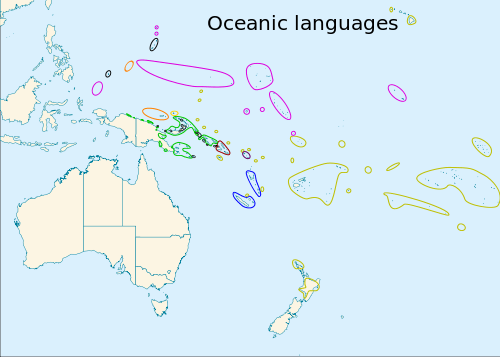 The network of inferred haplotypes suggested a single origin of the –SEA allele. Thus, our data support the hypothesis that the –SEA allele has been subjected to recent balancing selection, triggered by malaria. The artifact, marked with ordered dots and strips that may well represent the lunar cycle, was found in Nguom Hau Cave (Na Hang District, Tuyên Quang province, Northern Vietnam). A similar artifact was discovered in 1985 not far away: Na Cooc Cave (Thái Nguyên province). The calendar has been estimated to be from c. 4000 years ago. 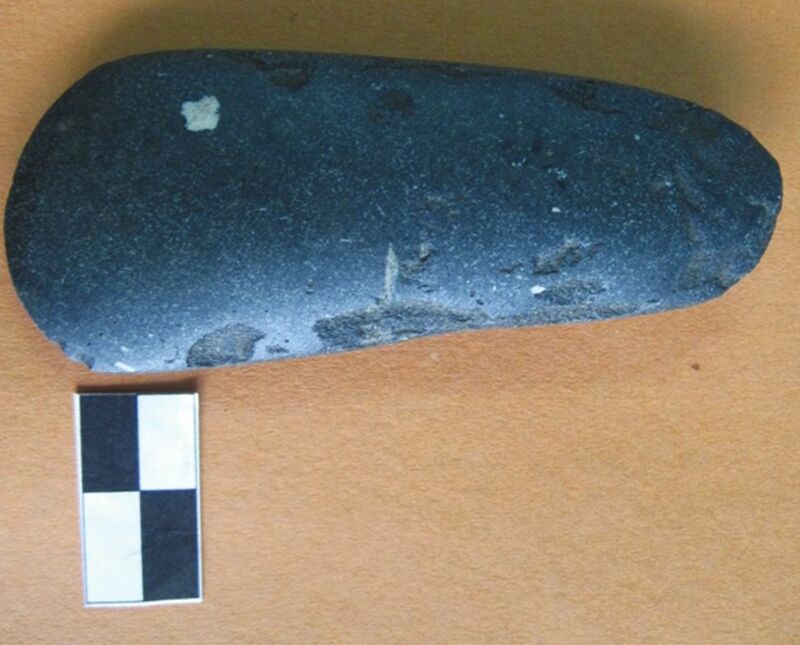 The stone tool was found in a tomb marked with 14 large stones laid at a length of 1.6m. Bones were found under the stones but no skull was found, with Chung guessing that the skull may have decayed due to the humidity in the cave. A number of other stone tools were buried with the corpse. The dig also produced much other information from the Iron Age (3.0-3.5 Ka BP), Late Neolithic (4.0-4.3 Ka BP) and a deeper and very thick Early Neolithic layer consisting of many polished stone axes and other tools. Together with other findings, the evidence mounts for inhabitation from at least 8000 years ago in this area. Source: Viêt Nam News (via Pileta). A prehistoric tool of Neolithic period has been found in Taksing under Upper Subansiri district, bordering China. Tade Ebo, Taksing CCR evangelist and one Talin Rigia handed over the axe-shaped Neolithic tool to research director Dr. Tage Tada on September 12, which is now on display in the Itafort Archaeological Museum here. The tool is of rectangular in shaped and made out of diorite black stone. Both the surfaces are fully grounded and finely polished but a few sears are seen in the lateral margin of the tool. The cutting edge very sharp, convex and bifacially beveled. The shape, size and workmanship of the tool indicate that it was used as axe by the people in the Neolithic age, most probably for the purpose of agriculture and farming. Tada informed that this was the first finding from the remote Indo-China (Tibet) border. “The possession of the tool will provide opportunity to the students of archaeology of the state for its further investigation and add definite information on the prehistoric period of the area”, he added. Geographical and anthropological note: Arunachal Pradesh is effectively administrated by India as state but also claimed by China (via its annexation of Tibet). For what I care it belongs to its own peoples, a diverse array of mostly Tibeto-Burman ethnicities. From an anthropological viewpoint the whole region so-called NE India (between Bangla Desh and Burma is transitional between South Asia and SE Asia.